On Saturday, June 14th, TORC volunteers participated in Wake County’s The American Tobacco Trail presents…”On the Trail to Health” at the White Oak Parking Area next to the American Tobacco Trail. 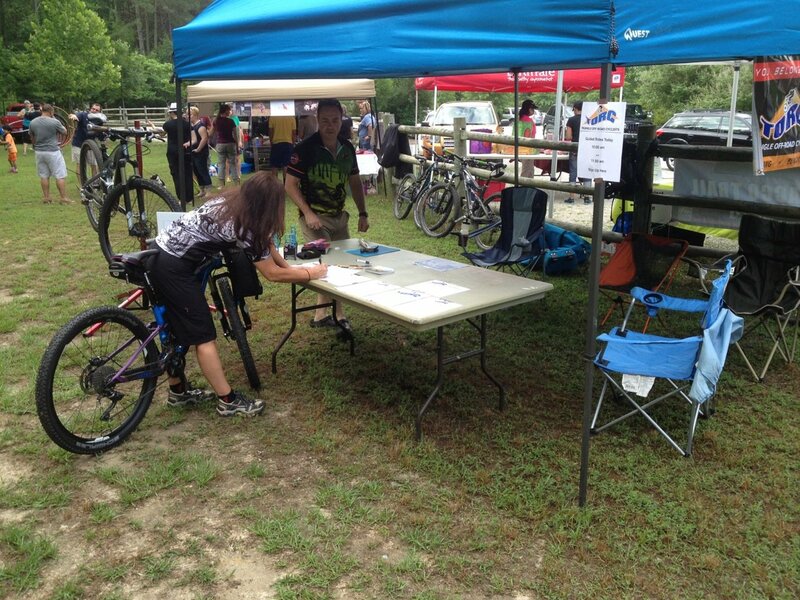 TORC’s booth\tent at the annual health fair was a great way to promote mountain biking and TORC to those who came out to find out more about healthy food options and activities available in Wake County. 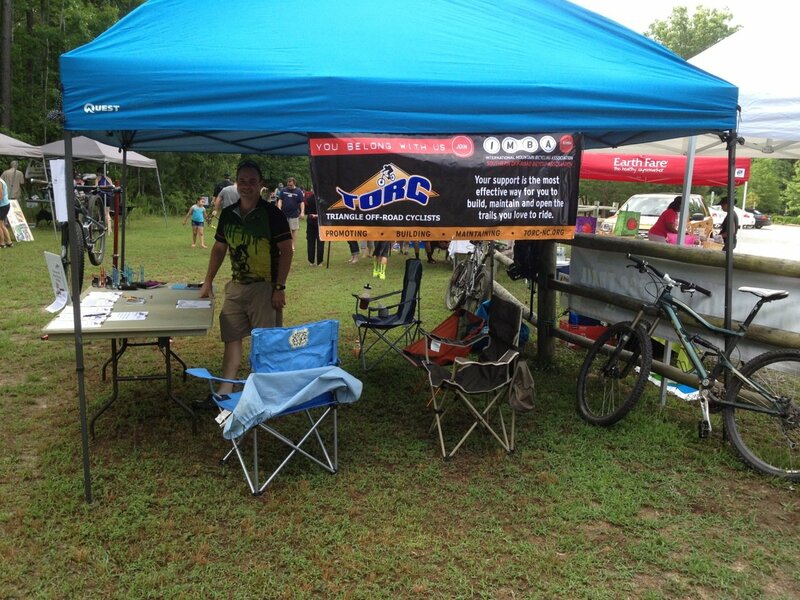 TORC volunteers also offered two guided rides on the ATT that morning and even signed up a few new TORC members.